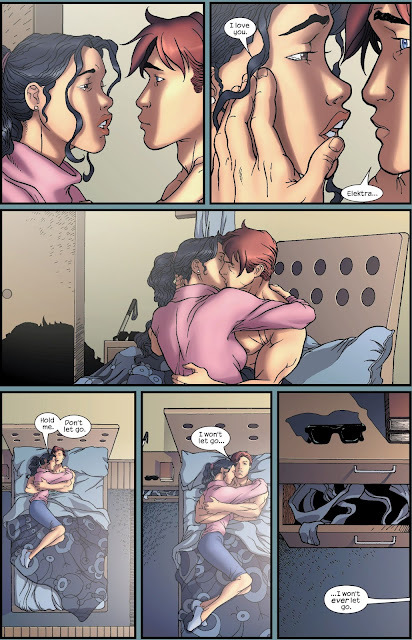 College student Elektra pays a shirtless Matt Murdock a visit after some vigilante shenanigans, from Ultimate Daredevil and Elektra #2. He sure is! This is the Ultimate Universe version of DD, he's still college aged here.